Cravings are inevitable, but what you do to satisfy them is entirely up to you. 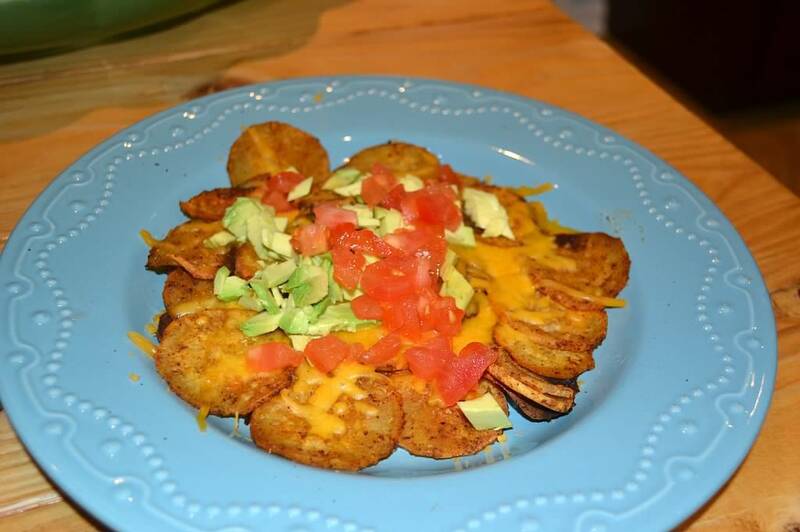 The next time you get a hankering for nachos, try making some at home with sweet potatoes instead! You’ll have fun making these and feel satisfied eating them. Looking for a meal instead? Simply top your nachos with some chicken (maybe even the leftovers from the Hawaiian Chicken Kebabs you made the day before) or pork when you add the cheese. This healthy spin on a food favorite is perfect in any weather – from Big Game snacking to enjoying a summertime side dish. Per serving: Calories 209, Total Fat 5.5g, Sat. Fat 1.7g, Carbohydrates 34g, Sugars 7g, Fiber 6g, Cholesterol 5mg, Protein 6g, Sodium 194mg. Recipe copyright © 2014 American Heart Association. This recipe is brought to you by the American Heart Association’s Simple Cooking with Heart ® Program.